Before :- S. Rajendra Babu and G.P. Mathur, JJ. For the Appellant :- P.P. Malhotra, Sr. Advocate, Ms. Sushma Suri, Advocate. For the Respondents :- Ashok H. Desai, Sr. Advocate, Rajan Narain, Alok Sen Gupta, Ms. Sushma Sharma, Ajay Aggarwal and Mridul, Advocates. G.P. Mathur, J. - The Deputy Chief Controller of Imports and Exports filed eight complaints against several persons including the respondents herein for their prosecution under Sections 420, 467, 468, 471, 120-B IPC and Section 5 of Imports and Exports (Control) Act, 1947. The respondents (accused Nos. 3, 4 and 5) filed applications under Section 245 Cr.P.C. in all the cases praying for their discharge. These applications were rejected by the Special Court (Economic Offences) on February 24, 1986 and the revisions preferred against the said order were also dismissed by 6th Additional Sessions Judge on July 20, 1989. Thereafter, the Respondents filed petitions under Section 482 Cr.P.C. which were allowed by the High Court of Karnataka by the judgment and order dated August 7, 1995 and the orders passed by the Special Court (Economic Offences) and the Sessions Judge were set aside and the applications filed under Section 245 Cr.P.C. were allowed and the respondents were discharged. Feeling aggrieved by the aforesaid order the Deputy Chief Controller of Imports and Exports has filed these appeals by special leave. 2. The main ground on which the petitions under Section 482 Cr.P.C. have been allowed by the High Court is that the Special Court (Economic Offences), Bangalore, had no jurisdiction to try the offences under the Indian Penal Code or any other law except the offences under the Acts mentioned in the Schedule to the Notification by which the said Special Court was created. The other grounds are that the complainant was not examined as a witness by the Special Court as required by Section 200 Cr.P.C. and that the Presiding Officer of the Special Court had not applied his judicial mind to the complaint before taking cognizance of the offences. 3. The Government of Karnataka, exercising powers conferred by proviso to sub-section (1) of Section 11 read with Section 2(j) of Code of Criminal Procedure and in consultation with the High Court of Karnataka issued a notification on September 10, 1982 for establishing a Special Court of Judicial Magistrate First Class called the Special Court (Economic Offences), for the trial of offences under the Acts specified in the Schedule having jurisdiction within the local area of the revenue district Bangalore including the Bangalore Metropolitan Area. The Schedule mentioned 12 Acts including the Imports and Exports (Control) Act, 1947, Income Tax Act, Customs Act, FERA and Central Excise and Salt Act, etc. The High Court accepted the contention of the accused-respondents herein that in view of the aforesaid notification the Special Court (Economic Offences) could only try offences under the Acts mentioned in the Schedule but had no jurisdiction to try offences under the Indian Penal Code. 4. Shri P.P. Malhotra, learned senior counsel for the appellant has submitted that the view taken by the High Court is against the provisions of Code of Criminal Procedure and merely on account of the fact the Special Court had been created by issuing a notification under proviso to sub-section (1) of Section 11 of the aforesaid Code, the said Court would not be divested of the jurisdiction to try offences under the Indian Penal Code. Shri Ashok Desai, learned senior counsel appearing for the accused-respondents has, on the other hand, submitted that the effect of the notification was that the jurisdiction of the Special Court was confined to the offences under the Acts mentioned in the Schedule and it could not try any other offence including that under the Indian Penal Code. "In partial modification of the Notification No. LAW 106 LCE 79, dated 1st September, 1982 and in exercise of the powers conferred by the proviso to sub-section (1) of Section 11 read with clause (j) of Section 2 and Section 18 of the Code of Criminal Procedure, 1973, (Central Act 2 of 1974) the Government of Karnataka, in consultation with the High Court of Karnataka, establishes for a period of one year with effect from the 13th day of September, 1982 a Special Court of Judicial Magistrate First Class called the Special Court (Economic Offences), Bangalore Metropolitan Area and the District of Bangalore for the trial of offences under the Acts specified in the schedule having jurisdiction within the local area of the revenue district of Bangalore including the Bangalore Metropolitan area." 6. The notification has been issued in exercise of power conferred by proviso to sub-section (1) to Section 11 of the Code and this provision only empowers the State Government to create, after consultation with the High Court, Special Courts of Judicial Magistrate to try any case or class of cases in a local area. Local jurisdiction has been defined in Section 2(j) of the Code and in relation to a Court or Magistrate, it means the local area within which the Court or Magistrate may exercise all or any of its or his powers under the Code, and such local area may comprise the whole of the State, or part of the State, as the State Government may, by notification, specify. According to this provision, the State Government can create one Court for a local area which may comprise the whole of State or any part of the State and in the present case it was Bangalore Metropolitan Area and the District of Bangalore. The source of power for the State Government to issue a notification for creation of a Special Court is proviso to sub-section (1) of Section 11 of the Code and this provision nowhere says that upon issuance of such a notification the concerned Judicial Magistrate would be divested of the power and jurisdiction which he otherwise had under the Code. The Judicial Magistrate, First Class, who by virtue of the notification became a Special Court (Economic Offences) was not divested of the jurisdiction which he otherwise possessed under Section 26 of the Code. Therefore, the Special Court (Economic Offenses), which is presided by a Judicial Magistrate, First Class, continued to have the jurisdiction to try the offences under the Indian Penal Code, which he was otherwise empowered in view of First Schedule to the Code of Criminal Procedure. The language of the notification also does not show that powers or jurisdiction of a Judicial Magistrate, who is to perform the functions of a Special Court (Economic Offences) to try the offences under the Acts mentioned in the Schedule are being affected or curtailed in any manner. Therefore, the Special Court (Economic Offences) before whom the complaints had been filed, had the jurisdiction to try the offences under the Indian Penal Code and the view to the contrary taken by the High Court is clearly erroneous in law. 7. The only reason given by the High Court in holding that the Special Court (Economic Offences) had no jurisdiction to try the offences under the Indian Penal Code is that in some other Statutes wherein Special Courts have been created, a specify provision had been made conferring power upon such Courts to try the offences under the Indian Penal Code and in absence of such a provision here, the Special Court (Economic Offence) would not have the jurisdiction to try the offences under the Indian Penal Code. In this connection, the High Court has referred to Section 5 of Prevention of Corruption Act, Section 12AA of the Essential Commodities Act and Section 9 of the Terrorist and Disruptive Activities (Prevention) Act and on the basis of these provisions such a conclusion has been drawn. In our opinion, the aforesaid reasoning of the High Court is wholly fallacious. The enactments referred to above by the High Court are Special Statutes which themselves created the offences, made specific provision for appointment of a Special Judge or a Designated Court for trial of offences, laid down their powers and also made specific provisions regarding procedure which was to be followed by such Courts. Such is not the position here. The State Government has merely exercised power under proviso to sub-section (1) of Section 11 of the Code for creation of a Special Court. The Acts mentioned in the Schedule to the notification issued by the State Government do not themselves provide for creation of any Special Court nor do they lay down the procedure for trial of the offences therein. The only effect of the notification was that instead of the trials being held in the Courts of various Judicial Magistrate posted in Bangalore Metropolitan Area and in the District of Bangalore, they were all to be tried by one Court. The High Court was plainly wrong in drawing any analogy from Special Statutes which themselves created offences and also made provisions for trial before the Special Court or Designated Court created therein. The position being entirely different here, there is absolutely no scope for holding that the Special Court (Economic Offences) which was presided by a Judicial Magistrate of the First Class lost the jurisdiction to try offences under the Indian Penal Code. "Cognizance taken. Register the case. Issue summons to the accused." "The legislature has stressed the need to record reasons in certain situations such as dismissal of a complaint without issuing process. There is no such legal requirement imposed on a Magistrate for passing detailed order while issuing summons. The process issued to accused cannot be quashed merely on the ground that the Magistrate had not passed a speaking order." This being the settled legal position, the order passed by the learned Magistrate could not be faulted on the ground given by the High Court. 10. The High Court has gone to the extent of saying that as the Deputy Chief Controller of Imports and Exports had not been examined as a witness, the procedure prescribed by Section 200 Cr.P.C. had not been followed and, therefore, the order passed by the Magistrate taking cognizance of the offences was illegal. With respect, we find it difficult to comprehend the aforesaid reasoning of the High Court. Section 6 of the Imports and Export (Control) Act provides that no Court shall take cognizance of any offence punishable under Section 5 except upon a complaint in writing made by an officer authorised in this behalf by the Central Government by a general or a special order. That the Deputy Chief Controller of Imports and Exports had been so authorised by the Central Government is not in dispute. Proviso (a) to Section 200 Cr.P.C. lays down that if a public servent acting or purporting to act in the discharge of his official duties has made the complaint in writing, the Magistrate need not examine the complainant and the witnesses. In view of Twelfth clause of Section 21 IPC which provides that every person in the service or pay of the Government or remunerated by fees or commission for the performance of any public duty by the Government shall be a public servant, the Deputy Chief Controller of Imports and Exports is a public servant. It is also not the case of the accused-respondents that the Deputy Chief Controller of Imports and Exports is not a public servant. The complaint was filed by him in discharge of his official duty. The learned Magistrate was, therefore, fully justified in taking cognizance of the offences without recording the statement of the complainant. 11. For the reasons discussed above, we are of the opinion that the view taken by the High Court is wholly unsustainable in law and must be set aside. 12. In view of the findings recorded by us, the learned Magistrate has to proceed with the trial of the accused-respondents. Shri Ashok Desai, learned senior counsel has, however, submitted that the Imports and Exports (Control) Act, 1947 has since been repealed and in the departmental proceedings taken under the aforesaid Act, the Central Government has passed orders in favour of the respondents and, therefore, their trial before the criminal court at this stage would be an exercise in futility. 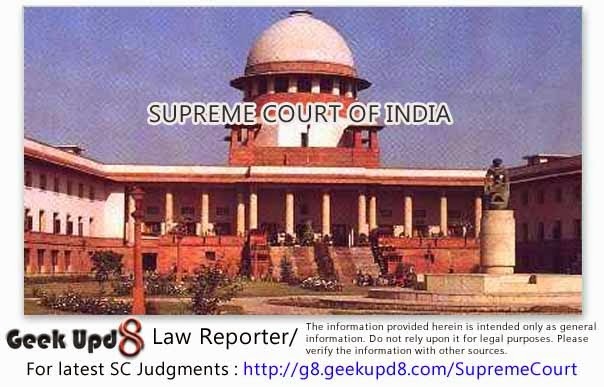 He has placed before us copies of the order passed by the Additional Director General of Foreign Trade on August 16, 1993 and also by the Appellate Committee Cell, Ministry of Commerce, Government of India on March 13, 1997 by which the appeals preferred by the respondents were allowed by the Appellate Committee and the accused- respondents were exonerated. Having regard to the material existing against the respondents and the reasons and findings given in the aforesaid orders, we are of the opinion that no useful purpose would be served by the trial of the accused-respondents in the criminal court at this stage. The proceedings of the criminal cases instituted against the accused-respondents on the basis of the complaints filed by the Deputy Chief Controller of Imports and Exports are, therefore, quashed. 13. The appeals are disposed of accordingly.